The Presidency has kept mum since reports of the first lady’s treatment in the German hospital hit the media. There have been speculations surrounding her ailment and what exactly she is being treated for. 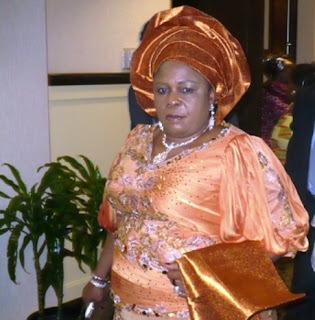 President Goodluck Jonathan has not visited his wife since her hospitalization about three weeks ago. A top level official in the Botswana government, one of the two countries the President had visited on a 3-day working tour told THEWILL source that the President abruptly cancelled a scheduled engagement this evening and made straight for the airport heightening fears that the first lady’s condition may have deteriorated. THEWILL has not been able to independently confirm where the President is headed. President Jonathan was scheduled to leave Gaborone, the Botswana capital on Wednesday. Several calls to the President’s spokesman, Dr. Reuben Abati with a 3-hour period to get a reaction were unsuccessful as his phones were switched off. The President was accompanied on the trip by Governor Adams Oshiomhole of Edo State and Governor Sule Lamido of Jigawa State, Senator Sahabi Alhaji Yau; Honourable Jones C. Oyereri; the minister of mines and steel development, Alhaji Musa Mohammed Sada; the minister of culture and tourism, Chief Edem Duke; and the minister of state for foreign affairs, Dr. Nurudeen Mohammed.